If you are game we have the party! Enjoy this promo from 2017! Get ALL SHOOK UP at our Feast! Get shakin’ cause the feast is comin’. Get your friends together and prepare to party. 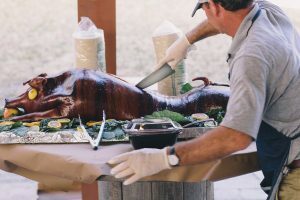 Pig out on a buffet that goes from Mild to Wild. coming, with new appetizers and courses delivered hot and fresh to our buffet. 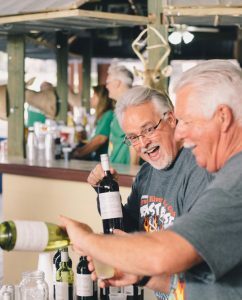 $60 Gets access to this all you can eat event, with open bar featuring top shelf call brands, national beers and wines, and locally crafted brews from Nature Coast Brewing. It’s all to fight hunger in Citrus County. 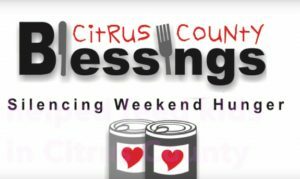 While the Beast Feast is a party of the kind we rarely see, the proceeds are donated to Citrus County organizations that fight hunger. Have fun. Do good. Could this get any better? There will be Wine. Did we mention Wine? Do you have friends who just “must have” a glass of wine with a party? We’re bringing you a variety of styles to pair with every course of your feast. But our beverages don’t stop with wine. We’ll have the national beers you know, and creative craft beers from Nature Coast Brewing, right here in Citrus County. Plus top shelf call brands and mixers make the fizzy concoction you love, or just ease that fine spirit over a few rocks, and its good to go. And everything is included in your admission. Great music, AMAZING food, a bar and a half, and lots of other wild entertainment. Round up your friends. This is a party you don’t want to miss. Coming together to have fun and fight hunger! Beast Feast Partiers pitched in to inspire this act of generosity and bravery. It was a momement we remember for the good it did. Come join us this year and be a part of a great thing, and have a blast too.